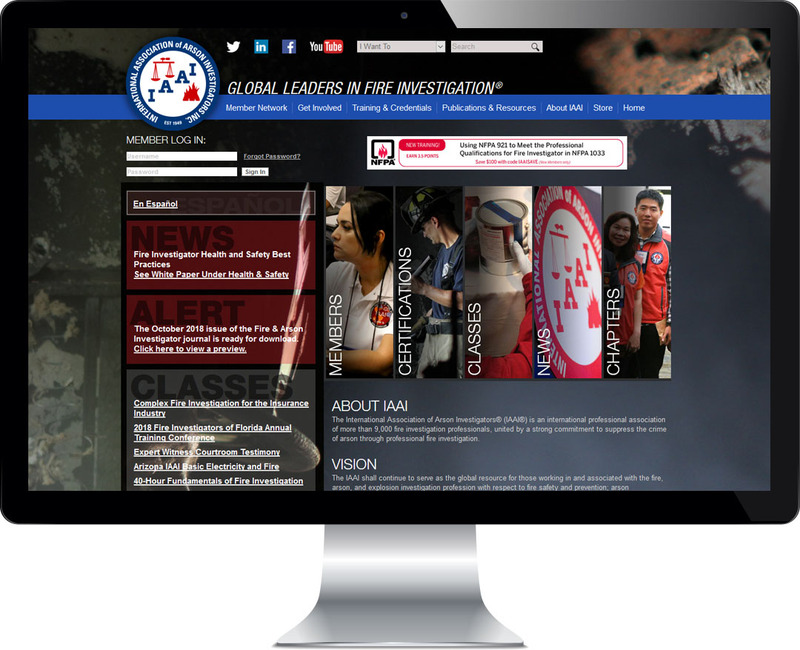 We developed www.firearson.com for the International Association of Arson Investigators with a couple of major goals. The site serves the members with an integrated site that delivers personalized information from the membership database and their online continuing education network. Seamlessly, members can login once and get schedules and information about live training in their area and topline information that helps remind them of the important online work they are doing on www.CFITrainer.Net. The site is also designed to show potential members about the associations value, how to join and how to get involved.